The movement to simplify and localize the food system has a new ally in Montreal. Provender is a unique new farm-to-fork startup that seeks to create more sustainable, cost-effective trade relations between producers and restaurateurs. Provender’s platform creates a virtual marketplace where chefs can order food directly from the farmers listed on the platform. It’s often harvested to order while the food is still alive, then transported by the farmer to the restaurant, eatery or café in question. “Typically if a chef orders lettuce then the iceberg will still be in the ground,” said Jason Stanley, the Strategy, Research and User Experience director at Provender, said of the startup’s practices. “When [most] chefs want to order food they call trucking companies,” Stanley told The Link. “Their food may sit in refrigerated supply chains for several weeks. In Montreal much of our food is grown in California. “Our software platform is a potentially global tool that creates and helps strengthen local food systems,” he continued. Localism—a preference for one’s own area or region—creates more sustainable food systems. 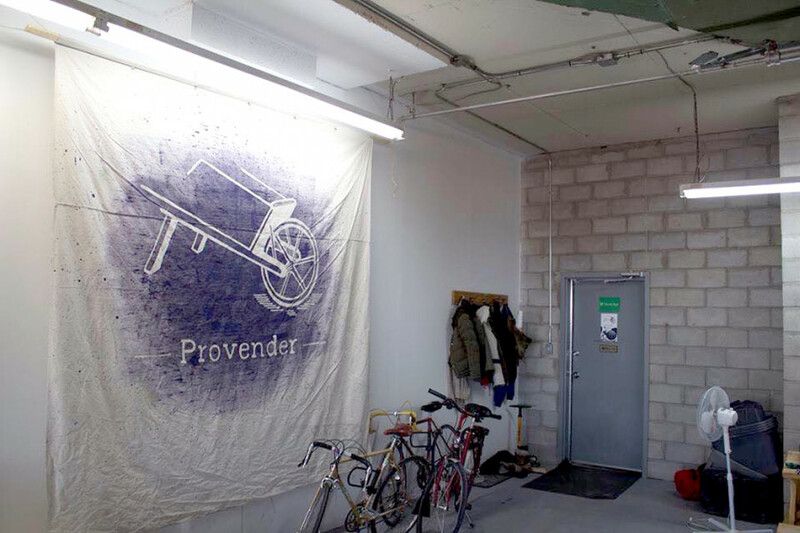 Provender seeks to overcome the perverse contemporary reality of global food systems. As the system currently works, food can be grown in one continent, flown to another continent to be processed and packaged and transported to yet another continent for consumption. The massive reduction in food miles that local food systems create has immense environmental benefits. These local economic relations allow for a greater distribution of wealth, as multinational corporations—who pay fewer taxes than small and medium-sized businesses—are rarely involved. The Link spoke to several chefs that use Provender’s online platform to see exactly how it works and how it’s tried to revolutionize the traditional, estranged relationship between farm and kitchen. Pelo Brisson-Tsavoussis, head chef at Montreal restaurant Bishop and Bagg, has been using Provender for around nine months. Provender’s “[elimination of] the middleman” has allowed him to save money and have a better idea of where his produce comes from, he told The Link. “Since I’ve been using Provender I’m more sure of where my greens are from, which can be difficult when you’re dealing with a bunch of random butchers and vegetable suppliers who are always looking for the best deal possible,” he added. “Big buying companies have so much buying volume [and] can muscle farmers into lowering their prices [which results in the] farmer losing money,” he explained. The “decentralized system” which Provender has created allows for a far more sustainable and cheaper business model, he said. Emile Balk, head chef at Lorbeer, believes local food will inevitably become more popular as people realize how much healthier it is. “Eventually people will start realizing that to be healthy you have to eat healthier,” he remarked, adding that local food doesn’t require additives or extra pesticides for storage, which is, in contrast, necessitated by trans-national shipping of mass-produced groceries. If the consumer doesn’t adopt this mentality at home, where they consume most of their the meals, then this idea won’t take off. The mass market is at the stores, not the restaurant, Balk explained.